Website designs do NOT always fit in one of these three plans. We will always give you a customized estimate for your site. 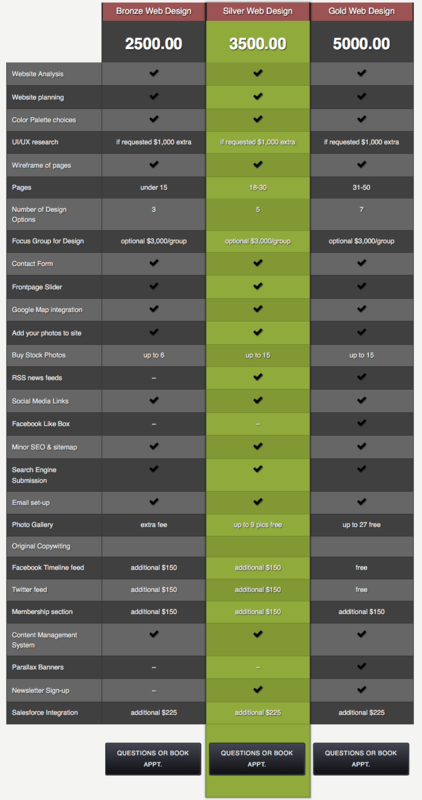 Here is an article about web design pricing: Pricing Guide Article. eCommerce sites for online stores are much more involved and require extra software(extensions). SHOPIFY online stores are $1,750 plus $6 per product. Custom WooCommerce stores $2,500 to $7,500.